We’d like to tell you some things you might not have known about your pearls, whether you wear them as a pearl necklace, as pearl earrings, as a pearl bracelet, or even in a pearl ring. There’s a legend about how pearls first appeared. It’s been said that the first pearls were formed when Venus, the goddess of love, arose from the sea, and shook herself dry. The tiny drops of water that fell from her body transformed themselves to pearls, and fell back into the sea. 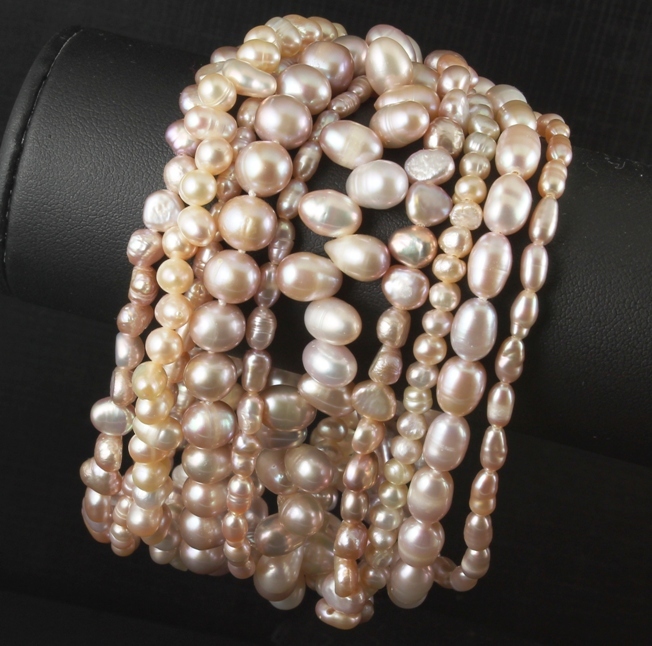 Throughout the ages, pearls have been loved for their beauty, lustre, and elegant shapeliness. Queen Elizabeth the first of England, who reigned from 1558 to 1603, and whose name is used to designate the Elizabethan era, was a great lover of pearls, and apart from those in her crown and hairpieces, she is believed to have had over 300 gowns into which pearls were set or sewn. 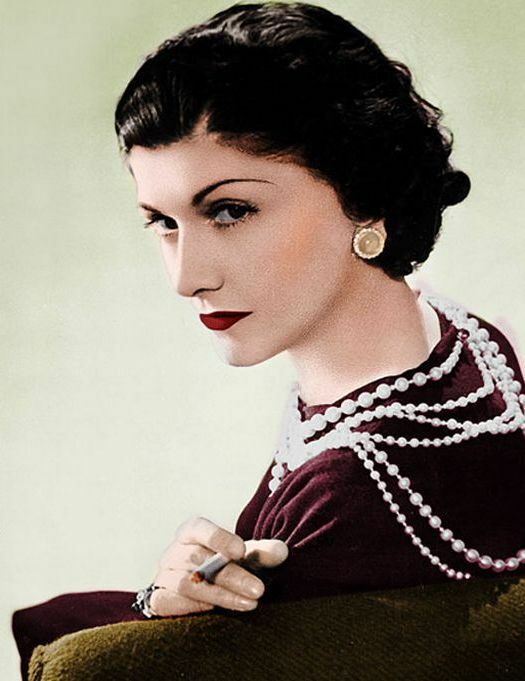 In the early twentieth century, French fashion designer and founder of the Chanel brand, Coco Chanel, helped to establish the place of pearls as the epitome of refined elegance, mostly by the simple device of wearing them continually in public. It is thanks to stylish Coco that the pearl necklace became an enduring image of taste and class in women’s fashion during these years. By the 1950s, the popularity of pearls was maintained by film actors like Grace Kelly and Audrey Hepburn, who wore pearls frequently, and later, by Britain’s Princess Diana, noted for her attractive pearl chokers, and performer, Madonna, who established a new pearl eclecticism. A pearl is an organic gem, formed when an irritant such as a parasite or some other material enters the shell of a bivalve mollusc (mainly saltwater oysters and freshwater mussels). To prevent this irritation, the mollusc deposits concentric layers of nacre (mother of pearl). These layers are made of calcium carbonate (in the form of aragonite), plus an organic horn substance called conchiolin which binds the microcrystals concentrically over the irritant. These layers of nacre become the pearl. The size of the pearl depends on the amount of nacre the mollusc places over the irritant. If the nacre is thicker, the surface of the pearl will be more lustrous and reflective. Natural pearls are those produced by a mollusc without human intervention. In recent years they have become increasingly rare. 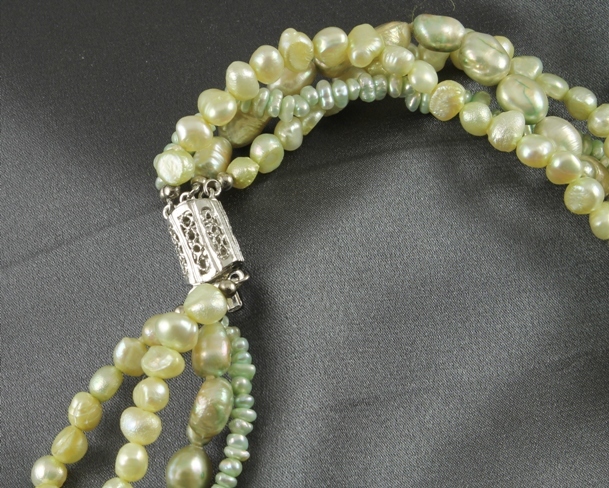 Cultured pearls are produced by a mollusc with human assistance, in the form of seeding. Cultured pearls now comprise 90 percent of all pearls produced, and are obtained from both seawater and freshwater molluscs. 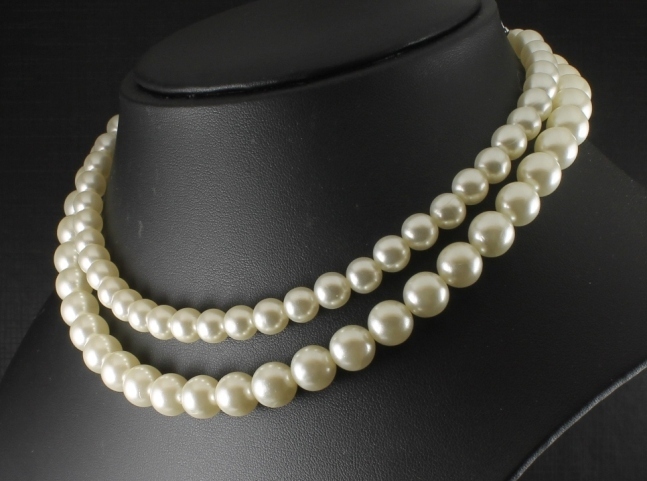 The earliest known production of cultured pearls was in China in the thirteenth century, though they were not round. The first round cultured pearls are believed to have been produced in 1761 (from river mussels) by the Swedish botanist, Carl Linnaeus. Lustre is an important factor in considering the beauty of a pearl. It’s comes from a combination of surface brilliance and a deeper glow caused by light travelling down through translucent layers of nacre, and being reflected back to the eye from deep within the pearl. The translucence and arrangement of these overlapping nacre plates have a significant influence on whether a pearl has a high lustre. A pearl of high quality will allow you to see your reflection on the surface. The conditions under which the pearl is formed can influence its lustre, and if the nacre is produced more quickly, it may be thicker and thus less translucent and lustrous. One factor that has helped the enduring popularity of pearls, in necklaces, bracelets, earrings, rings, and brooches, is the greater variety of colours now available, especially from freshwater mussels, as well as the eclectic effect of integrating pearls with various other types of coloured gemstones. Pearls can have a body colour, an overtone and an orient (or iridescence), though not all pearls have the latter two elements. The body colour is the primary colour. The overtone is one or more subtle, secondary, translucent colours that lie across a pearl’s surface and are reflected in that surface. Overtones tend to alter the body-colour slightly and add depth and glow. A current favourite are white pearls with rose overtones. The orient or iridescence consists of the rainbow colours which shimmer just beneath the surface of the pearl. In past times, the most preferred pearls were perfectly round or spherical, but such perfect rounds (as well as totally unblemished pearls) are very rarely found. Because of their rarity, perfectly round or totally unblemished pearls are very expensive. These days, many shapes have become popular, including the classic spherical (round or near round), symmetrical (oval, button, drop), baroque, semi-baroque, circled, stick or Biwa, Keshi, cross, coin, peanut, mabe or blister. Natural pearls are produced by seawater molluscs which live along coastal strips in warmer regions closer to the equator, at a depth of from 15 to 20 metres. Saltwater cultured pearls are produced on the coasts of Japan, northern and western Australia, Myanmar, Malaysia, Indonesia, and the islands of French Polynesia. 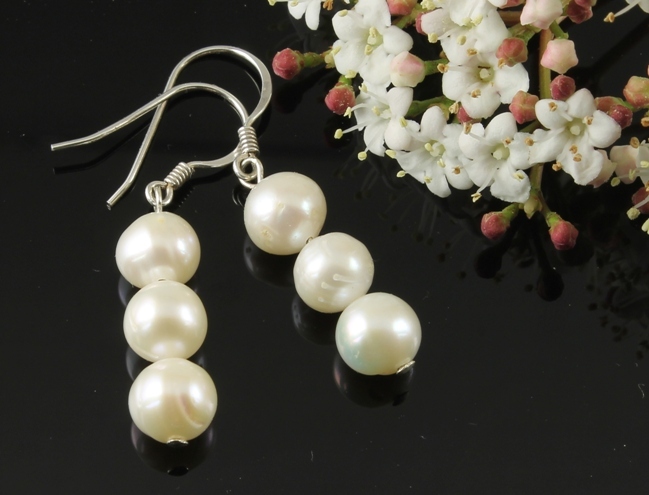 Freshwater cultured pearls are produced in Japan and China. Though the hardness of pearls is low at 2.5 to 4.5 (according to the Mohs’ scale), their extraordinary compactness makes them hard to crush. However, this softness makes pearls easy to scratch. The delicate nature of pearls means they require some extra care, and they should be both worn and stored so that the pearl surface in not in contact with the metals or gemstones in your other jewellery, and they should preferably be stored in a soft pouch or bag. Clean pearls regularly to remove the build-up of acid and perspiration deriving from human skin, which can detract from the pearl’s lustre. Clean pearls with a soft cloth, either dry or damp, or with a damp chamois. 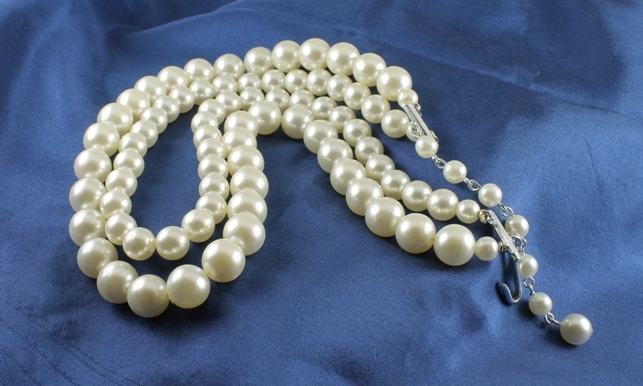 Avoid letting pearls come into contact with perfume and hairspray and do not wear your pearls in water. Pearls are said to have a life of 100 to 150 years, before they become dull and fissured; however there are pearls some hundreds of years old which still look perfect. Pearl is the modern birthstone for the month of June, and corresponds with the colour white, and the zodiacs of Gemini and Cancer.